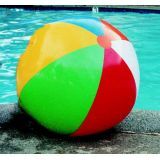 16" beach ball - made from super tough PVC for long life. Football soft touch - red/blue - easy to grip rubber laces. Soft, dimpled neoprene jacket for pool fun. (8.5"). 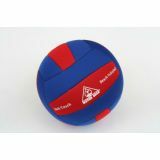 Beach volleyball soft touch-red/blue - official size and weight. 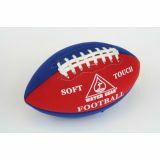 Durable, high-performance, neoprene-covered ball. 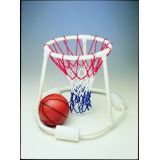 Deluxe heavy duty basketball game - strong, durable PE+ABS construction. Polyethylene net. 20" base, 15" hoop, 16" tall. Ball included. Deluxe water fun pack - 4 fun games in one! Dive rings, discs, diving seahorses and turtle-in-egg. Play games separately or use all pieces. Deluxe dive disc game - numbered 4" discs drift to bottom. 6 per pack. 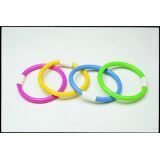 Scuba dive rings - 6" rings stand upright on pool bottom. Unbreakable, non-corrosive and will not mar. 4 per pack. 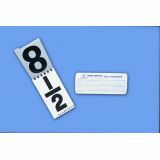 Diving flash cards - 3.75"x7". Large and easy-to-read. 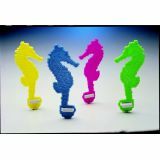 Diving seahorses - 7" seahorses stand upright on pool bottom. Promotes underwater skills and confidence. 4 per pack. 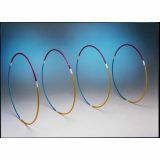 Dolphin slalom set - 4 colorful hoops stand upright on pool bottom. (4) 30" diameter hoops box. 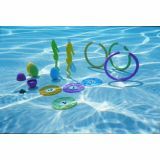 This exciting set challenges young swimmers to toss six colorful frogs onto three plastic lily pads. 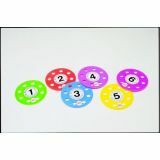 With colors, numbers and sizes to sort and score, there are lots of ways to play and win! Play ideas printed on the package outline basic games and exciting variations to play in and out of the pool. 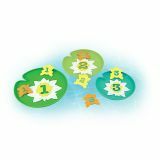 Drop these cute sinkers into the pool to kick off diving games, counting activities, races and more! 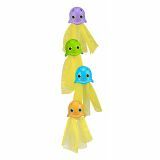 Four sinkers, whimsically shaped like jellyfish with mesh bottoms, are brightly colored, numbered 1-4 and cheerfully decorated with big smiles that will have kids giggling right along with them. Set comes with game ideas to inspire hours of pool-time fun.